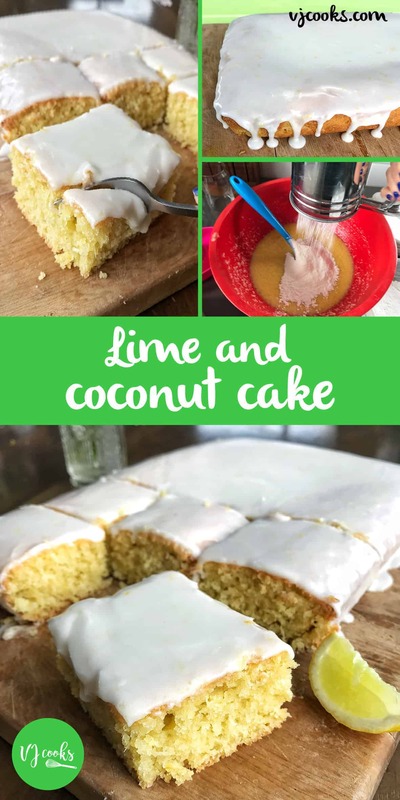 This delicious Lime and coconut cake is so easy to make and will feed a crowd, the perfect combo of tart limes and sweet icing. 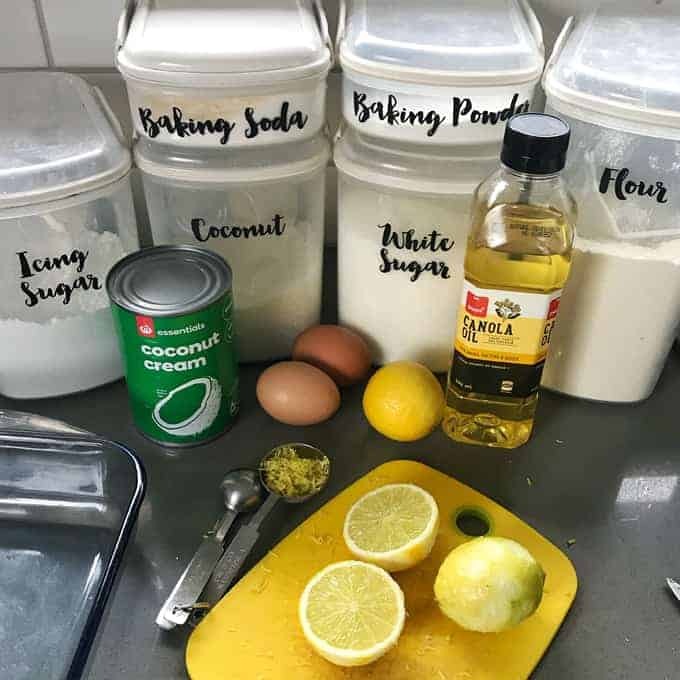 I had some fresh limes given to me by a friend up the road, so I got creative and made this delicious recipe for lime and coconut cake with them. I had no butter in the house so made it dairy free by using oil and coconut cream. This gives it a lovely light and tropical flavour. 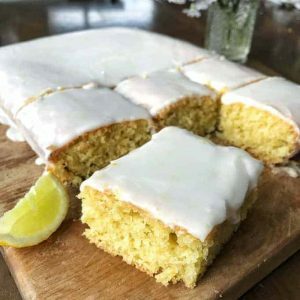 The tartness of the lime zest and juice is perfectly balanced with the sweetness of the icing. It is such an easy recipe to make, you just mix all of the wet ingredients together then sift in the dry. Pour it into a baking tray then bake until golden. 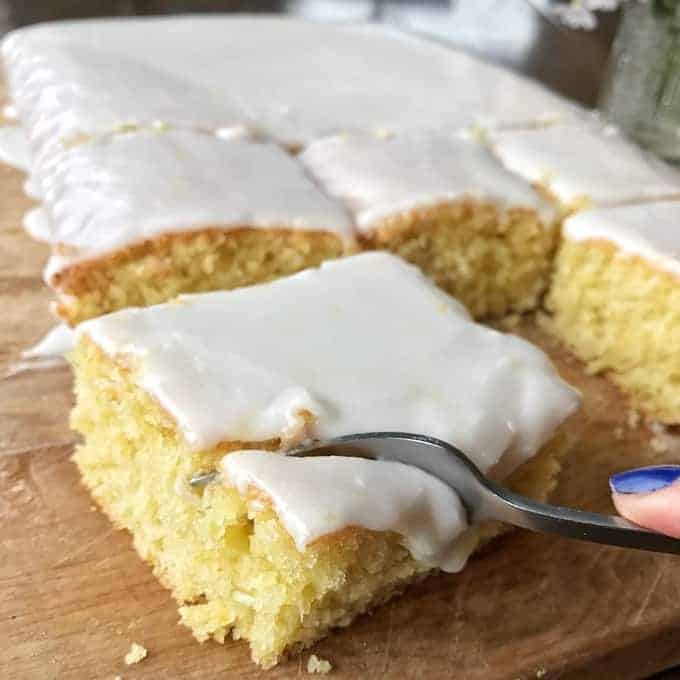 The icing on this coconut and lime cake is so simple too, you just whisk together icing sugar and coconut cream with the zest and juice of one lime. Then you pour it over the cooled cake until it drips down the sides, cut it into slices and serve. 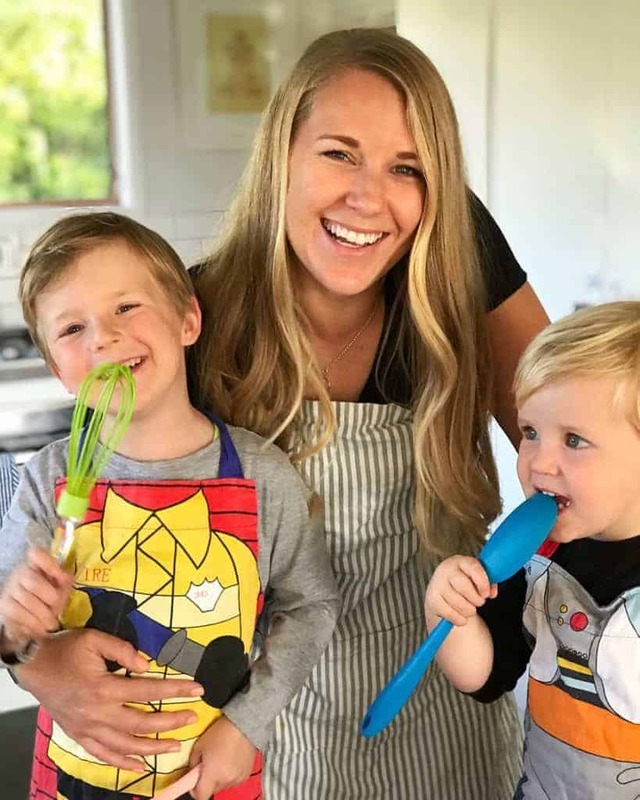 This cake is perfect to take along to a shared lunch or morning tea as it feed a crowd or cut it up for school lunches, the kids will love it. 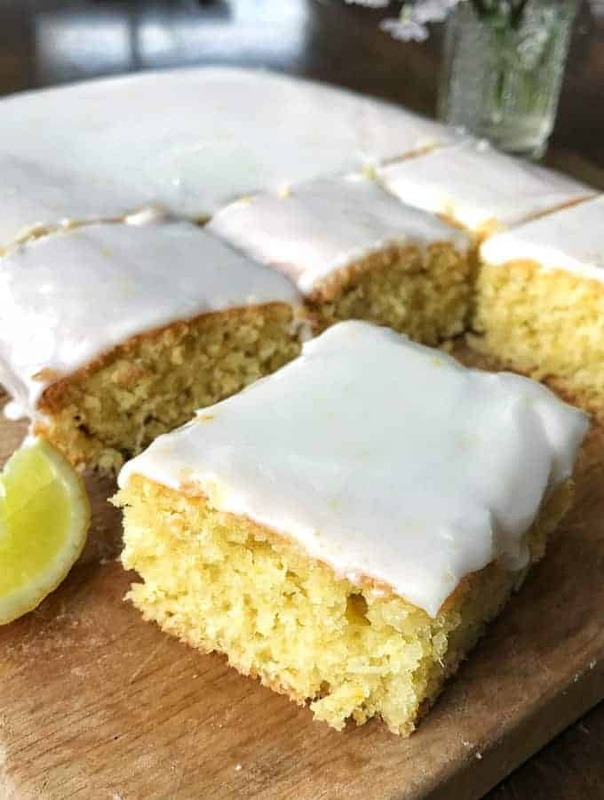 It can also be made with lemons in exactly the same way, I’m sure the combo of lemon and coconut would be amazing as well. It could also be called a Lime and coconut sheet cake or Lime and coconut tray cake. 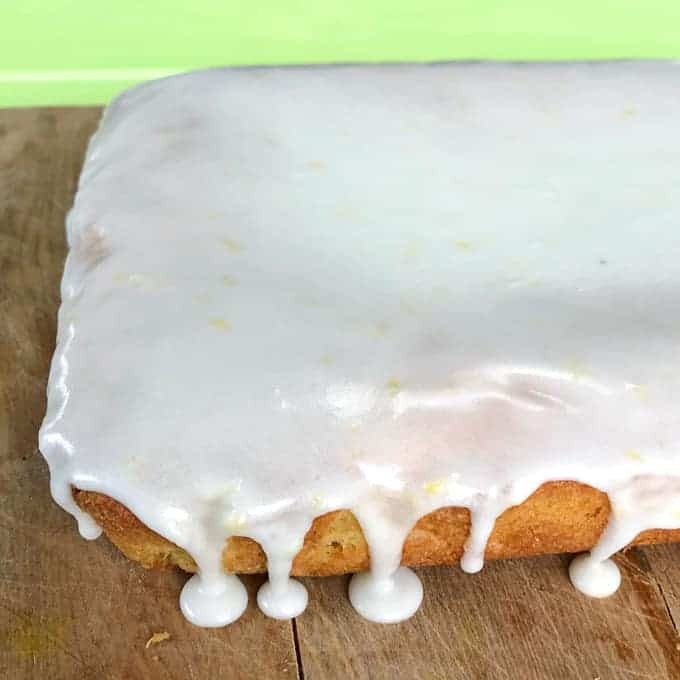 This delicious cake is baked in a tray so it feeds a crowd, the perfect balance of tart limes and sweet icing. 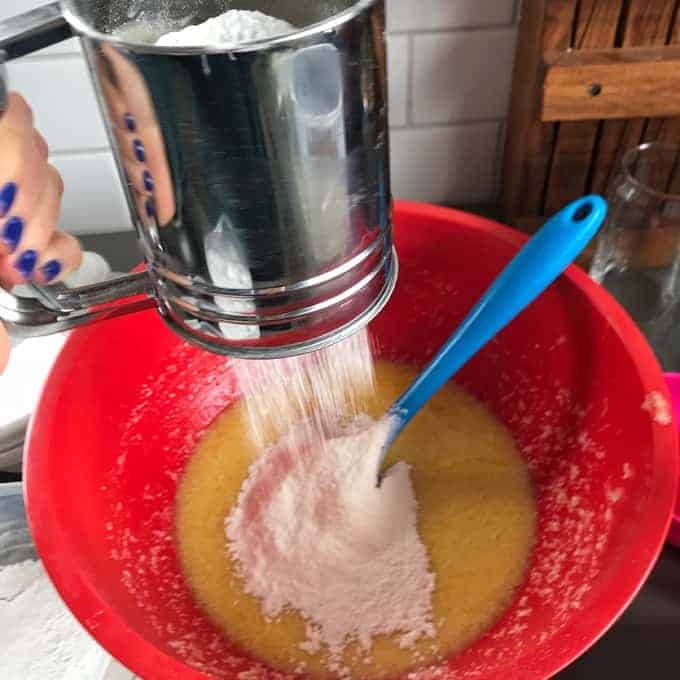 In a large bowl mix together lime zest, lime juice, oil, sugar, eggs and coconut cream until well combined. Add the desiccated coconut and sift in flour, baking powder and soda. Fold all ingredients slowly to mix everything together. Pour into a lined cake tray (Mine is 22 x 30cm) and bake for 35-40 minutes or until golden and a skewer comes out clean. Once cooked remove cake from tray after 10-20 minutes and place on a wire rack to cool. Icing: Mix all of the ingredients together then smooth over the cooled cake. 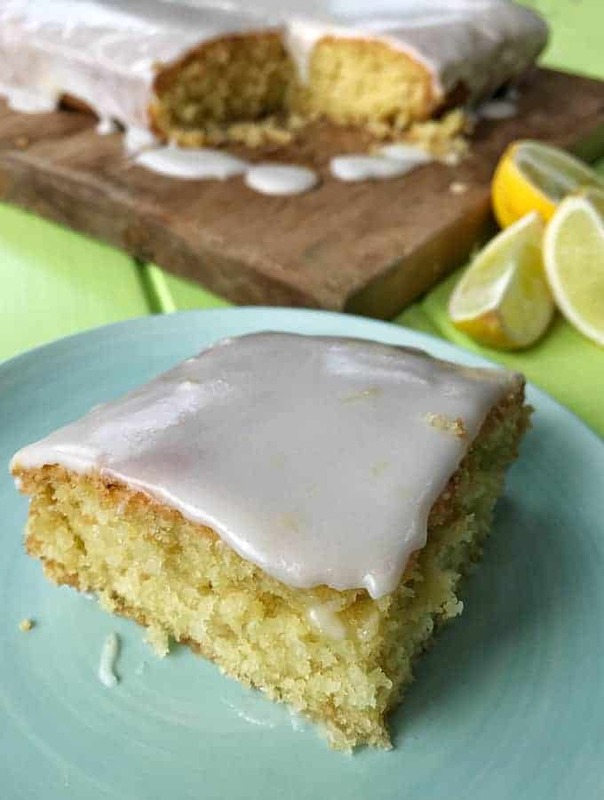 This cake is dairy-free and you can make it with lemons instead of limes if you like.